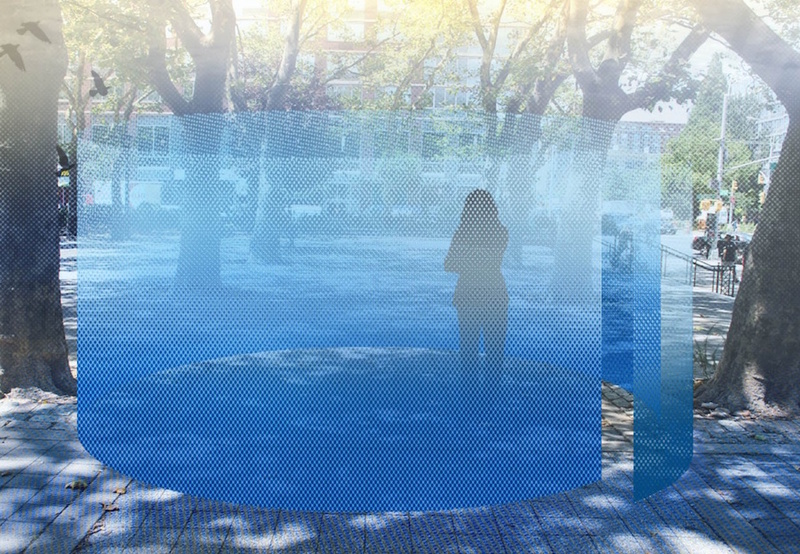 Stemming from the idea that a city is but a stack of layered horizons, landscape architect Diana Balmori’s public installation for IDEASCity 2015 invites the viewer to contemplate where horizons occur in a pause-for-thought experience. Meditation Room: Horizon is a continuous constructed wall of paper where the overlapping of two dot matrix systems creates a visible horizon slightly above eye level. At the heart of Meditation Room is the concept that the landscape architect’s onus is to create a sense of expansive horizons within a city’s modest spaces. The piece will be installed at the Sara D. Roosevelt Park on the Lower East Side at Chrystie and Houston street on May 30 from 12–6pm. Balmori is the founder of New York–based Balmori Associates, an internationally recognized landscape architecture firm. An activist for sustainable architecture, Balmori is currently campaigning to widen and landscape the Broadway median between 72nd and 136th street to create a path with solar panels and wind turbines powered by the slipstream of passing cars.